Dr. George Heckman holds an undergraduate degree in Engineering Physics from Laval University (1988) and a Master of Mathematics in Computer Science from the University of Waterloo (1991). He graduated in 1995 with a Doctor of Medicine from the University of Toronto, Ontario. He completed residency training in internal medicine at the University of Toronto (1999) and geriatric medicine at McMaster University (2000), and is a Fellow of the Royal College of Physicians and Surgeons of Canada. He completed a Master of Science Degree in Health Research Methodology at McMaster University in 2006. His most recent academic achievement was passing the OMHA Hockey Trainer Certification Program (Level 1 – he is not allowed to perform CPR). 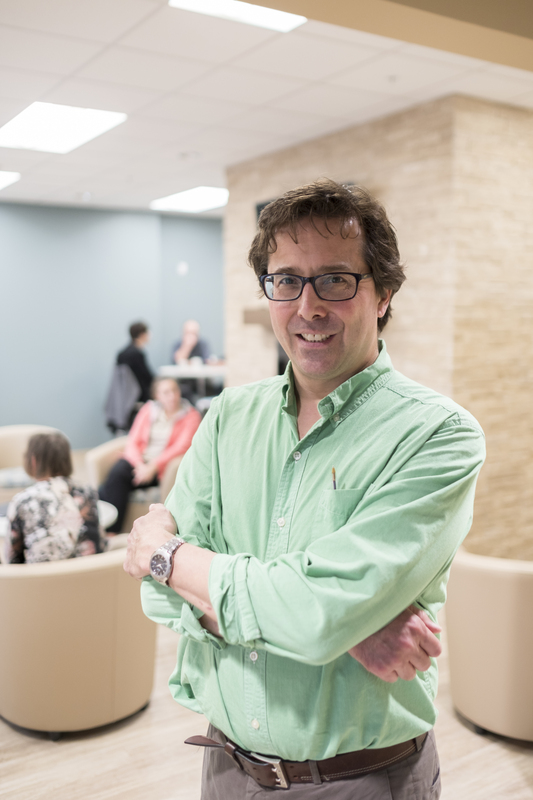 He holds the Schlegel Research Chair for Geriatric Medicine at the RIA, and is presently an Associate Professor with the School of Public Health and Health Systems at the University of Waterloo. He is also an Assistant Clinical Professor of Medicine at McMaster University. He provides knowledge translation support for the Waterloo Wellington Local Health Integration Network. He has been Primary Panelist for the Canadian Cardiovascular Society Consensus Conference on Heart Failure since 2005, Vice Chair of the Quality Indicators for Heart Failure Working Group of the Canadian Cardiovascular Society, led the Quality Indicators for Heart Failure Sub-theme group for Palliative Care/End of Life Planning 2011-2012 of the Canadian Cardiovascular Society, and was a member of the Heart Failure Management Working Group of the Cardiac Care Network of Ontario. He is a Fellow of interRAI, an international not-for-profit consortium of researchers and clinicians from over 35 countries and which develops, tests and implements standardized assessment systems for vulnerable individuals across several care settings. Research interests include management of heart failure in long term care and other frail seniors, chronic disease management of frailty in various care settings, and vascular aging.